I have never been a fan of mathematics, chemistry or physics. I actually hated them all at high school. I sucked at all of them too. My average in mathematics was something like a 3, which was actually pretty high for me 😉 Anyway, the funny part is that I’m pretty much dealing with this on a daily base now and it has actually gained my interest on a higher level. Especially since today. Today a man visited me at work, he does that pretty frequently lately and it’s nice talking to him. He knows a lot about the old world in photography as he’s been working in that field for much longer than I’m around. Today we talked about lens construction. We already started that conversation yesterday I believe but today he brought me some copied material that I could read of which one page I’ll post here. If you can’t read it and want a copy please let me know, I’ll mail it to you. Yesterday he told me that a telelens is not the same as a long focal length lens. I was like, no way. I always learned that the 2 can not be without another. They’re the same. Well, they’re not. It might sound stupid but all I thought I knew about the build of lenses (that knowledge was already limited) turned out to be false or at least incomplete. I still can’t get my head around a couple of things. The man told me that a telelens distorts the perspective while a long focal length lens does not. 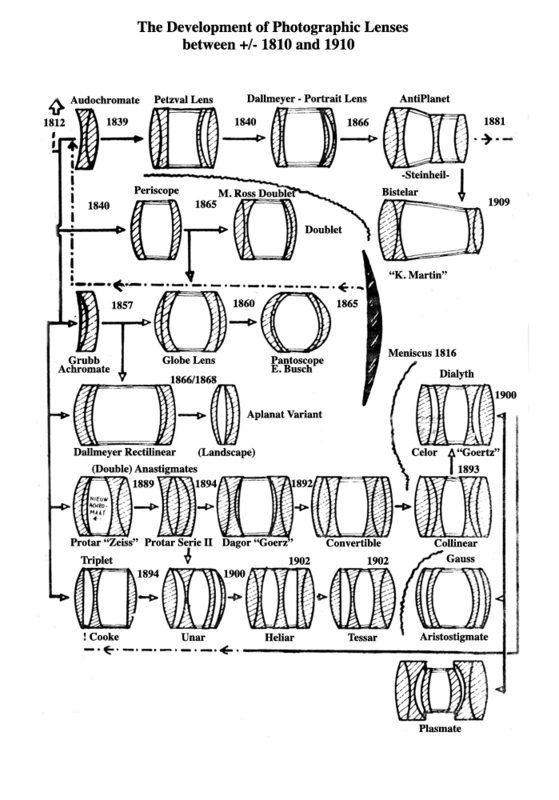 The reason telelenses were invented was to be able to create smaller, more lightweight lenses with a long focal length which would normally not be possible. To achieve this the optical center lies outside of its physical construction, such the entire lens assembly is between the optical center and the focal plane. But the angle of view created by a telephoto lens is the same as that created by an ordinary lens of the same specified focal length. That would also imply that the perspective is the same with both lenses…? When I search for an answer on the net I find opposite answers (as always) and I’m not sure which one it is. I’ll see if I have time to test this at work tomorrow but it’ll most likely be very busy. I’ll post the test results when I do however. Of course, modern (tele)lenses are build to fit around your film frame or sensor and therefor will be flawed as in the outsides of a lens is where the faults can be found. With a long focal length lens, used on a smaller size than what it’s meant for you only use the inner, thus better, optical part of the lens to create the photo and therefor ending up with a better quality image. Second, how does one determine what the actual focal length of a lens is when calculating the format of the film or plate used? A 400mm meant to cover 8×10 is a 400mm but what if you just use 4×5? You’ll be making a crop, therefor extending the effective focal length while it in reality of course does not change. I should add the source of this: Comes from a magazine from the club Fotografica, which I’m currently trying to join. This entry was posted on December 11, 2009 by Contrastique. It was filed under Miscellaneous .